While England may have a queen of the country, Southeast Asia is home to the Queen of Fruits. This deliciously delightful queen comes in the form of mangosteen, an orange-sized fruit featuring a creamy flesh protected beneath a durable rind. 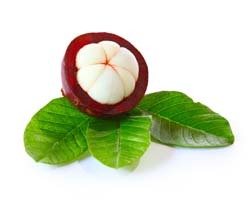 Unlike the orange, however, the mangosteen is packed with benefits in both its juicy flesh and its textured rind. 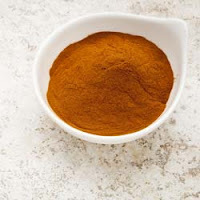 Premium mangosteen powder capitalizes on this fact by grinding both into fine powder that can bring a nutritious burst of goodness to your daily diet. There is one caveat: the Queen of Fruits cannot be hailed in all her glory unless the proper preparation methods are in place. Proper, for this queen, means ensuring the mangosteen is kept raw and grown only with organic methods. Organic mangosteen powder lacks the nasty chemicals and found in produce grown using pesticides, fertilizers and other harsh substances that can sneak in and pollute the fruit. Keeping mangosteen raw means keeping it as pure as nature intended. This is only possible by avoiding high temperatures and all-natural drying and powdering methods that use no fillers, additives, preservatives or artificial colors. High heat can be especially damaging for this queen’s royal array of antioxidants, particularly the powerful phytonutrient Xanthones. Natural News reports that the more powerful an antioxidant is, the more susceptible it is to heat, which is why pasteurization and other high-temperature processing methods can destroy the very substances that make this fruit so fabulous. Xanthones help the body’s immune system, cardiovascular system and heart health. 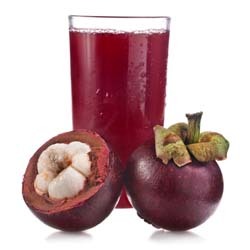 Xanthones are also in keen company with mangosteen’s other potent phytonutrients, such as tannins, catechins and anthocyanins. All work together for a common goal: to enhance your overall health and wellness. Smoothies are always a favorite when it comes to ways to incorporate organic superfoods into your daily diet, and mangosteen also works well in cereals, yogurt and creamy desserts. Truly hail the queen by featuring her in mangosteen custard, mangosteen sorbet or mangosteen mousse.